Kukatpally K P H B Phase 9, Hyderabad, India- 500085. I am a Oracle Certified Professional/Sun Certified Java Programmer. I am providing Best Software Services/Application Development / Online/Corporate/Project Training on Java J2EE Python and Frameworks with Web Services with Real-time case Studies, Concepts and Projects. It covers entirely real-time scenarios and best Examples/Projects/Tools. I am providing Best online, offline training on Python, Advanced Python, Django, MongoDB, Machine Learning, Deep Learning, IoT, numpy,scipy, python, all other python modules, node js, web development using python with real time examples. I am also providing excellent Lab Handouts for practice including Real-time Case Studies and Projects on all Technologies. registration to ensure transparency of our Training services. Please contact me for more details about Training/Project. 10 years Real time Experience on HTML,CSS, JS,AngularJS,j Query,Design Patterns,Python,Django,Java,J2EE,Java Frameworks , Python ,Struts,Spring, Hibernate,Java Web Services ,Web Design,Web Development, Data Structures and Web Services,Mongo,Machine Learning,Deep Learning. I have been conducting Online/Offline Training on various technologies for Corp orates / Professionals/ Students. I am a Java Certified Programmer 1.6 (OCJSE)(SCJP)(Java Certified Programmer) and providing Industry, Interview Oriented Training for Professionals and Freshers. Experience on Web Development using Java with MVC Design Pattern. I conducted courses for SCJP(OCJSE) and SCWCD. Please contact me for more details about training. "This guy deserves more than 5 star, as i reached him even after a year and he responded very well. I prefer students to join Java course as he was an excellent talented person. " "I took complete java training from Mr.Maruthi, He explained each and every concept with real time examples with real time tools from basics which helps us to gain more knowledge on real time experience. He also given so many assignments which makes me so confident on programming. I also did couples of projects during training under his guidance. He also conducted mock interviews during the training which helps me to get job quickly. Now I am working as a software engineer on java. I would like to thank Maruthi and would like to thank UrbanPro to find Maruthi in online. 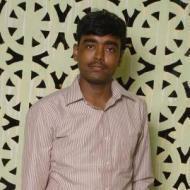 I recommend maruthi for a best java training. Thanks "
"The course( Core Java and Advanced Java) was well administered, well tutored, relevant. Maruthi was down to earth and direct which I appreciated. He was always friendly, helpful, supportive and prompt in his response to queries and feedback. The whole experience has been very positive. You are the best trainer. All the best "
"I like the way he covers the topics this helps us to understand the concept easily. He makes sure that the student understands the topics. Very friendly and highly knowledgeable, clears all the doubts. " Which language is useful for android app.development? You must have basic knowledge on Java to work on Android Programming. Constructor is a Special member function and used to initialize Objects. What is the difference between Java and Advanced Java? Java contains some Packages for developing standalone applications, we are use java for writing business logic in advanced java. Advanced Java is used for web development. Why C language is still available in market, while so many & much easier languages are available ? C Language is best for developing Embedded Applications. Where advanced java can be utilized? Advanced Java can be used to develop Web Applications i. e to Develop Enterprise Applications. I have 10 years of Real time Experience on Java,J2EE,Java Frameworks ,micro services, spring boot, spring security, Struts,Spring, Hibernate,Java Web Services ,Python,Web Design,Web Development, Data Structures and Web Services,HTML,CSS, JS,AngularJS,j Query,Design Patterns. I have been conducting Online/Offline Training on various technologies for Corporates / Professionals/ Students. I am a Java Certified Programmer 1.6 (OCJSE)(SCJP)(Java Certified Programmer) and providing Industry, Interview Oriented Training for Professionals and Freshers. I conducted courses for SCJP(OCJSE) and SCWCD. Please contact me for more details about training. I have 10 years of Real time Experience on C++,Java,Python ,Data structures, J2EE,Java Frameworks , Struts,Spring, Hibernate,Java Web Services ,Web Design,Web Development, Data Structures and Web Services,HTML,CSS, JS,AngularJS,j Query,Design Patterns. I have been conducting Online/Offline Training on various technologies for Corp orates / Professionals/ Students. I am a Java Certified Programmer 1.6 (OCJSE)(SCJP)(Java Certified Programmer) and providing Industry, Interview Oriented Training for Professionals and Freshers. I conducted courses for SCJP(OCJSE) and SCWCD. Please contact me for more details about training. We have 10+ Years Experience Trainers. Guna S. describes himself as Python Expert. He conducts classes in .Net Training, Amazon Web Services and Angular.JS. Guna is located in Kukatpally K P H B Phase 9, Hyderabad. Guna takes at students Home, Regular Classes- at his Home and Online Classes- via online medium. He has 12 years of teaching experience . He is well versed in Telugu, English and Hindi. Guna has got 66 reviews till now with 100% positive feedback.